Usually, when we talk about the Russian bikes, we think of very slow and outdated motorcycles; however, although it can seem incredible, also Russian bikes for the GP World Championship were realized! 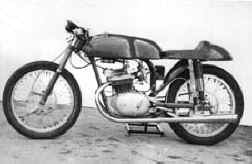 The history of the Vostok (this was the name of these motorcycles; it means simply "east") is absolutely interesting, and i dedicated one of the best Autosoviet's pages to these fast motorcycles (250 km/h...not very frequent on a Russian bike! ), absolutely unknown in Europe. In the 1942, while the war was still in full action, a research center, called in the following years "Vniimotoprom", was founded in the city of Serpuchov (70 km from Moscow). 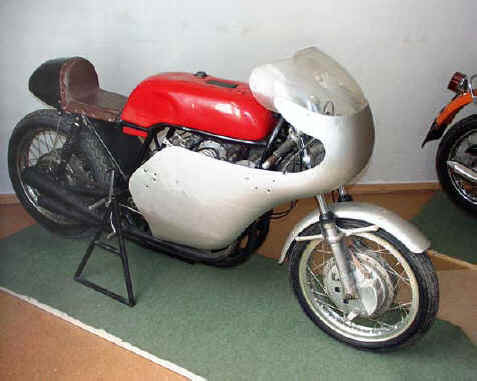 This technical center worked for the engineering of the serial production of several Soviet motorcycle factories, but also realized own racing motorcycles. The early models were called simply "S", and not yet "Vostok" (the "C" in the brand is a Russian "S", that means "Serpuchov"): S1-B 125, S2-B 250 and S3-B 350. 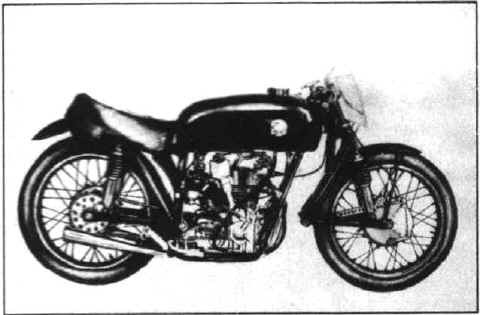 All these bikes were derived from the German DKW "compressor" racing bikes with "undoubled cylinder" (two pistons with a common combustion chamber), requisitioned by the Soviet army during the war: above (first pic, and in the drawing in the second pic), the "S2-B" 250 cc. (1950), russian Serpuchov's copy of the DKW, 40 hp, 175 km/h. 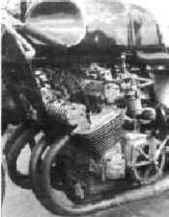 Before this bike, the Serpuchov's center realized several "clones" of the bike in the third pic: the German IFA "250 GS" (1948), always with "undoubled cylinder" and with compressor, but with opposite pistons (fourth pic). 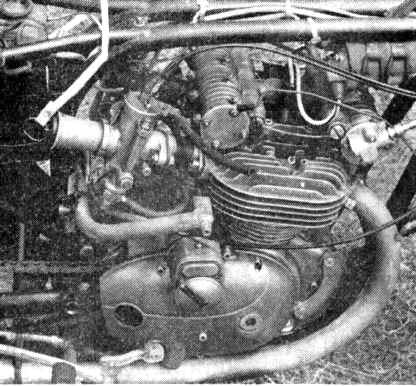 But, when the USSR decided for the partecipation in the international competitions, the old two-stroke of German derivation were abandoned, and a new range of totally russian four-stroke machines was realized: in the first pic above, the "S-155" single-cylinder 125 cc; in the second and third pics, the "S-254" (naked and with a little fairing), 250 cc twin cylinder, and, in the fourth pic, the "S-555", always twin cylinder, but with a displacement of 500 cc. 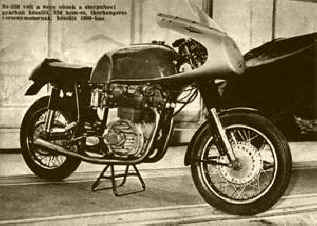 All these bikes (also known with the "SKEB" brand), designed by Evgenij Mathiushin, were equipped with DOHC timing and valves driven by shaft and conic gears (in the fourth pics, the engine of the following "S-358"); the frames were inspired to the British Norton "Featherbed". 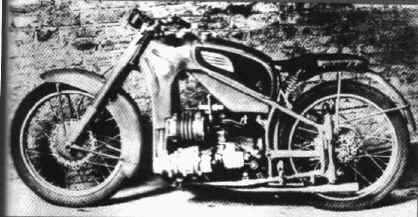 Although the inspiration from several Western machines, these bikes were the early totally-Soviet racing motorcycles, not simply and brutally copied from other bikes. During the years '60s, these bikes were radically modified, with new twin-spark heads and a new 6-speed gearbox. Above, the "S-358" (first, second and third pics, shown in two different versions) and "S-259" (fourth pic), always DOHC twin cylinder, with 48 and 50 hp respectively (but the "S-259" is a newer project). 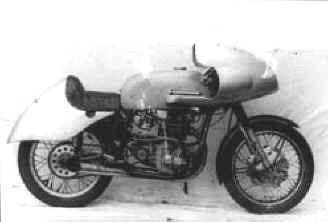 In the fifth pic, instead, the Italian driver Alberto Ravaldini on the "S-360" twin (this bike was realized in collaboration with the Jawa) during a race of the Soviet Championship. 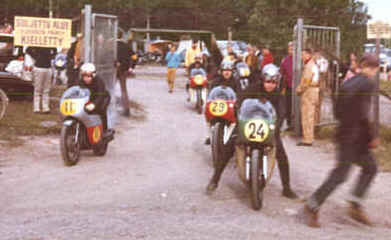 In all these bikes, the number of identification is taken from the displacement and the year of production (for example, the "S-259" is the 250 cc. realized in the 1959), and the name was not yet "Vostok", but simply "S" (for "Serpuchov": the "C" in the brand is a "S" in Russian). 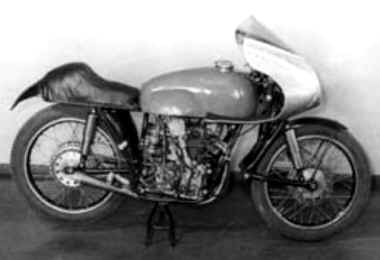 In the 1961, the first podium in an international race was obtained, with the third place of Nikolai Sevostianov, on the "S-360" twin cylinder, in a race in Helsinki. 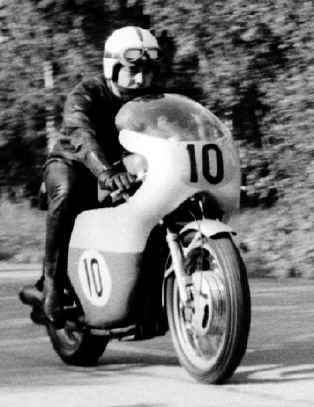 And, in the GP of the East Germany, Sevostianov obtained the fifth place in the 250 cc. class and the sixth in the 350: mediocre results, but enough good for a debutant Russian bike! 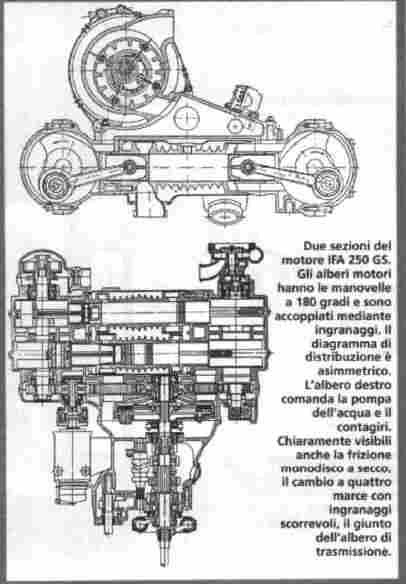 Of the twin-cylinder engine, it was realized also a version for the class 500 (two pics above), obtained simply overboring the 350 cc. 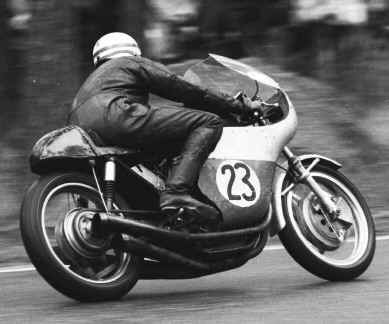 In the 1964, with this bike, Sevastianov came in 4th in East Germany behind Mike Hailwood (MV), Mike Duff (Matchless) and Paddy Driver (Matchless), and 4th in Finland behind Jack Ahearn (Norton), Mike Duff (Matchless) and Gyulya Marsovzky (Matchless). 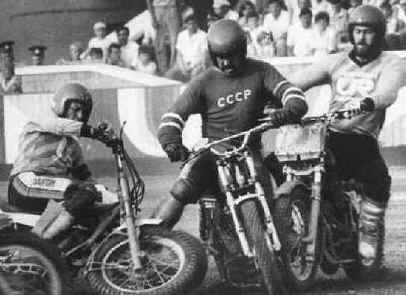 But, in the same year, the real challenge of the Russian engineers was shown, when the first Soviet four-cylinder bike was launched! 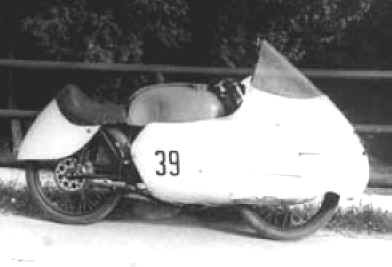 The new four-cylinder bike, called Vostok "S-364" (first, second and third pics above), was a 350 cc, with 59 hp (but this data was quite fake: 59 bhp were more than the unbeatable Honda 350 four of Jim Redman! ), 230 km/h of max speed. In the fourth, fifth, sixth and seventh pics, the engine; click here to read the data about all the Vostok bikes. During the GP of East Germany, the two Vostok "S-364" driven by Nikolai Sevostianov and by the young Estonian driver Endel Kiisa, kept the third and fourth places, but both were forced to end the race for the breaking of the left piston. 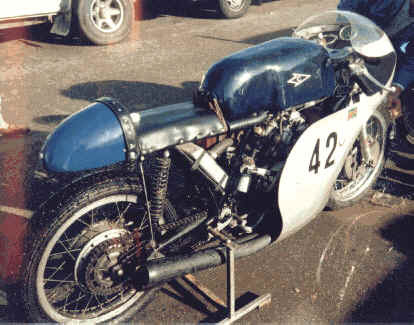 During the GP of Finland, instead, the Vostok of Endel Kiisa surprised the public, obtaining the third place, behind the two Honda of Jim Redman and Bruce Beale! 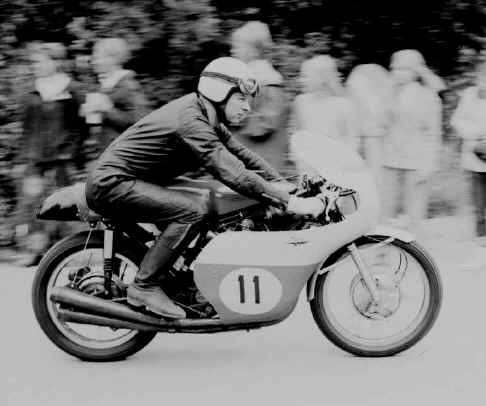 In the 1965, at the GP of Austria, Endel Kiisa remained for long time in first position, but a fall forced it to the retirement (only one kilometer before the end of the race!). 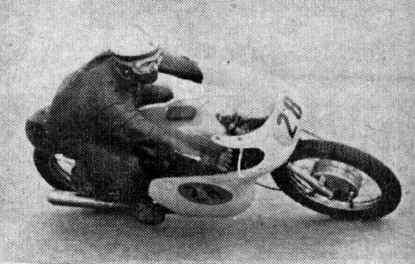 In the 1965, at the GP of Czechoslovakia, Sevostjanov obtained another third place, behind Jim Redman (Honda) and Derek Woodman (MZ). 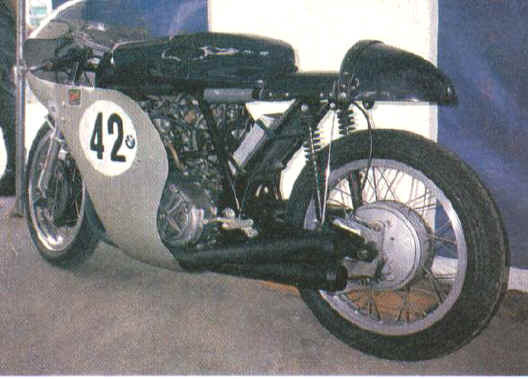 However, although the results (very good, especially considering the limited number of races allowed to the team, almost always in the countries of the Soviet block), the Russian government stopped, with an incredible decision, the partecipation of the Russian bikes in the World Championship. 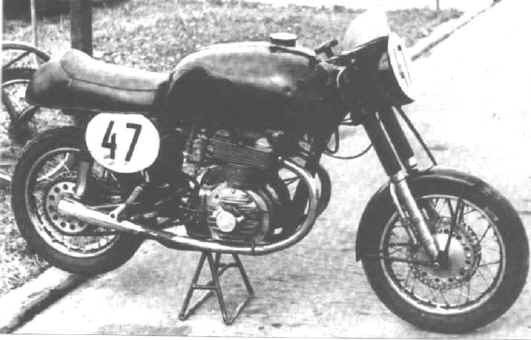 The Vostok resumed the partecipation to the World Championship in the 1968, with a new bike, the "S-565", destined to compete in the higher class, the 500 cc (five pics above; in the second and third pics, Endel Kiisa and Nikolai Sevostianov during the GP of Imatra, Finland; in the fourth pic, always in Imatra, the Russian bike is the first on the left, with the number 11, near two Matchless). 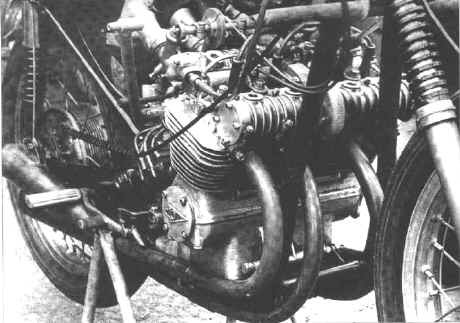 The Vostok "S-565" was the maximum expression of the Russians in the motorcycle technology; in comparison with the "S-364", the frame was strenghtened, and the engine increased to 494 cc. 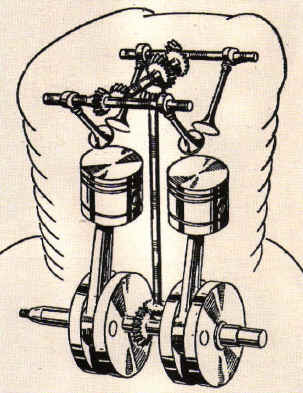 and modified with a new head with three valves for each cylinder (one for the inlet, and two for the exhaust). 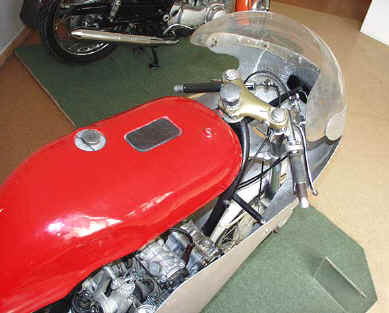 The max power was 80 hp, the max speed 250 km/h; also fairing, fuel tank, suspensions and brakes were different. At the GP of Finland, the only one race of that year, Sevostjanov obtained a good fourth place, behind Agostini, Findlay and Marsowszki. 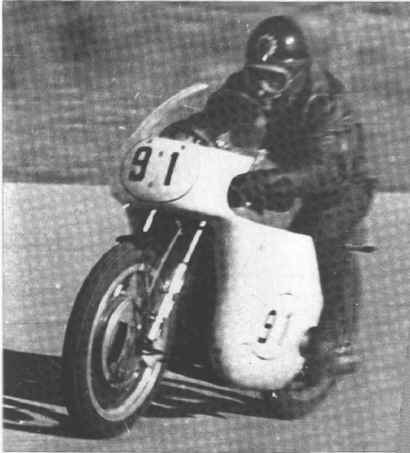 The 1969 was the last year of partecipation for the Russian bikes, also this time with only one race, in East Germany: the result, a modest tenth place. The Soviet "nomenklatura" never really supported the Vostok, not allowing to compete in other countries, and cutted definitively the funds for the developement. The Vostok continued to race still for some year, in less important races in the Eastern countries and in other countries close to the USSR, as the Finland. 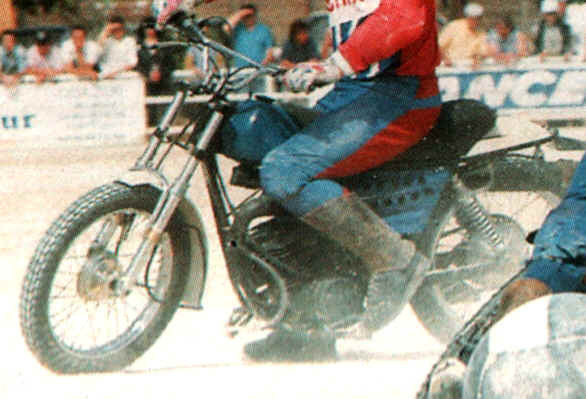 After the end of the partecipation in the World Championship, the "Vniimotoprom" -the producer of the Vostok- realized simpler and cheaper motorcycles, destined to the national competitions (besides the traditional realization of prototypes for the Soviet industry). The bikes in the first, second and third pics above are very different from the beautiful four-cylinder models: they are the Vostok 250 "Motoball"! 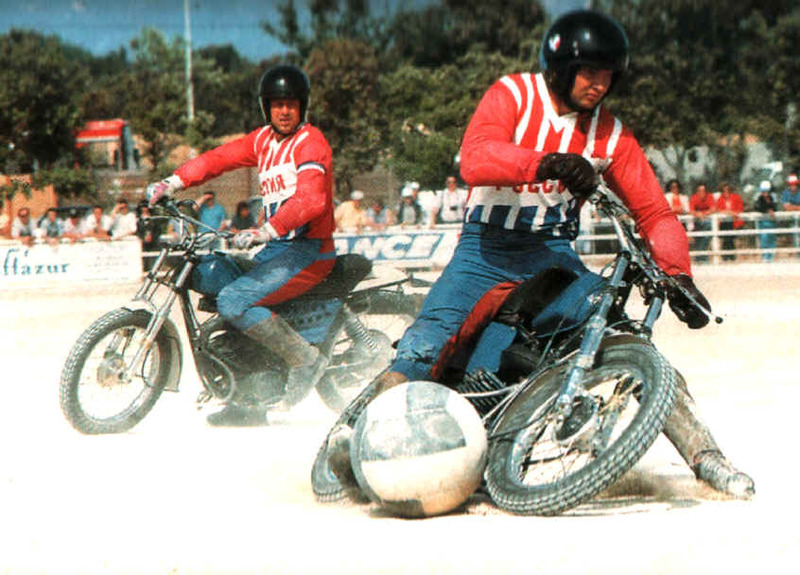 The "motoball" was a very diffused sport in USSR (fourth pic), and still today in Russia, even with 30.000 spectators for the most important races! 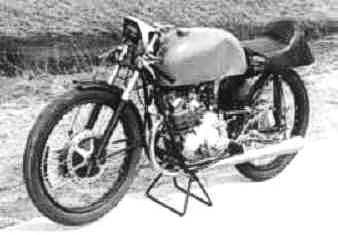 The Vostok bikes for this sport were very simple (too simple...), with a two-stroke engine, single cylinder, air cooled, 34 hp, two-speeds transfer box, with two gearshifts (one for each side of the bike), in order to facilitate the "dribbling"! In the early '90s, the "Vniimotoprom" passed through an hard crisis; it was privatized, and the engineering and production of motorcycles was definitively stopped. A shame. In short, the Vostok (above, another image of the "S-565") will remain in the history as the only Russian bike really modern and almost comparable with the Western bikes, for technology and performances. 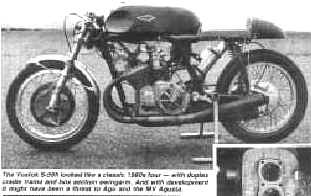 These four-cylinder (but also some twin-cylinder model) were potentially capable to obtain enough good results, considering that, besides MV Agusta and Honda, the only rivals were old British single-cylinder bikes, easy to beat for a well-developed "four". 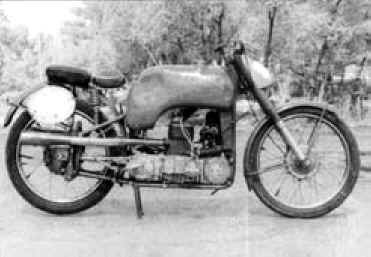 Unfortunately, without the support of money of a serial production, the Vostok was a simple element of propaganda for the Soviet sport, with a short life, because the funds for the motorcycle sporting activities were cutted during the '60s, at the same way of any non-military activity in USSR. Another symbol of the contradictory "Russian pride". 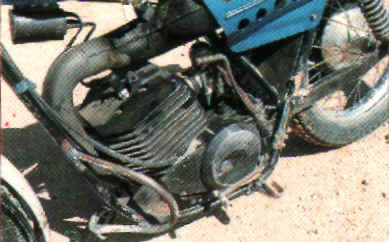 Some pic taken from http://moto.zr.ru , http://www.dlc.fi/~kakeh/ , "Motociclismo"